The Care and Preparedness in the Network Society (CareNet) research group of the IN3, together with OSI (UOC) and STS-b (UAB) organises the research seminar “Of Data Cultures and Data F(r)ictions: Training, Transformation, and Decentering Data Futures from Latin American Startup Ecologies“ by Dr. Anita Chan, Department of Media and Cinema Studies at the University of Illinois, Urbana-Champaign. The main goal of this event, within the series of seminars of Science, Technology and Society, is to generate synergies between the work of the speaker and the different UOC research groups and researchers. Accounts of Big Data as the latest global technology to arrive for universal takeover have prompted a range of reactions among interdisciplinary researchers – from calls for more “algorithmic transparency” to demands to “audit the algorithm” to enable users and researchers alike to be granted more access to the underlying code of digital platforms. Yet even as such urgency has grown among researchers to make algorithms more transparent and legible via such critical strategies, other critical data scholars have begun to diagnose their concern for a growing “fetishization of ‘‘algorithms”’ that have left missing any treatment of the human actors, publics, and institutions around which algorithms and big data ecologies diversely function and are produced. What they stress seems to have been re-animated is a certain technological determinism to algorithms as the new black-boxed technology – ones that – like other digital technologies before them – can be presumed to operate so powerfully and so inevitably, that a consideration of the specifics of either human or cultural domains can be left unconsidered. This chapter thus offers an ethnographic lens into one data-driven start up – the Code Academy Laboratoria in Latin America – that has been celebrated for “transforming” women from economically-challenges areas of Latin America into employable coders in six months. Taking a cue from globalization scholarship, this project argues for the need to develop methods and analytic lenses into Data Cultures and their frictions that detours from an exclusive focus on big data as either a discrete technological system with universal impacts, or as a kind of abstracted technological force that can be read as removed from the institutional contexts and local sites in which they were developed, used and deployed. And it takes seriously the power of globalizing frameworks of Technological Universalism that project new technologies, and especially digital technologies – as imbued with inevitable impacts. Impacts that would set local sites onto a single line of evolution towards a given future that furthermore, already was projected to mirror those of Western “innovation” centers and high-tech capitals like Silicon Valley. However powerful, and readily embraced such frameworks become, they fail to account for the vast array of means by which local sites always imagine and improvise alternatives to dominant modes of technological adoption and use – and the way that such local sites decenter the power and singularity of dominant forms. 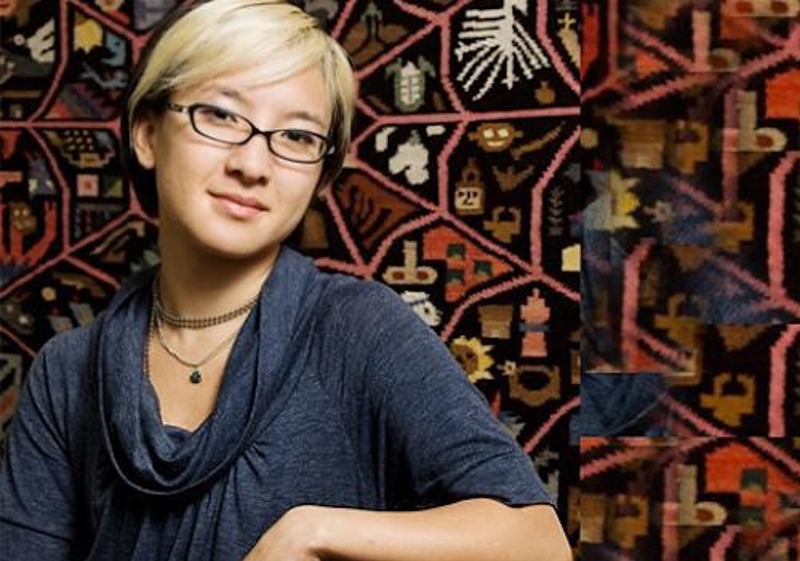 Anita Say Chan is an Associate Research Professor of Communications in the Department of Media and Cinema Studies at the University of Illinois, Urbana-Champaign. Her research and teaching interests include globalization and digital cultures, innovation networks and the “periphery”, science and technology studies in Latin America, and hybrid pedagogies in building digital literacies. She received her PhD in 2008 from the MIT Doctoral Program in History; Anthropology; and Science, Technology, and Society. Her first book the competing imaginaries of global connection and information technologies in network-age Peru, Networking Peripheries: Technological Futures and the Myth of Digital Universalism was released by MIT Press in 2014. Her research has been awarded support from the Center for the Study of Law & Culture at Columbia University’s School of Law and the National Science Foundation, and she has held postdoctoral fellowships at The CUNY Graduate Center’s Committee on Globalization & Social Change, and at Stanford University’s Introduction to Humanities Program. She is the 2017-2018 faculty fellow at the National Center for Supercomputing Applications, and the 2017-2019 senior research fellow at the Unit for Criticism and Interpretive Theory at the University of Illinois at Urbana-Champaign.